MARINA issued the latest requirements for our Certificate of Proficiency or COP in their STCW Circular 2018-05. As our governing authority, the Maritime Industry Authority established these guidelines on the proper issuance and revalidation of our certificates. BT, PSCRB, PFRB, MEFA, MECA, AFF SSO and SDSD are discussed here. The newly introduced II/4, II/5, III/4 and III/5 are also included. The documents are easy to acquire if you know where to look. This post will help you do just that. There have been many changes with our training requirements since the Manila 2010 Amendments. Like you, I was also confused about the updates since there is no proper information dissemination. I made a careful research with this topic by going as far as tracking down MARINA’s Facebook Page, replied comments, their website, the STCW Code and the STCW Convention. MARINA recently introduced an online verification and appointment system. They aim to make the COP and COC (Certificate of Competency) filing simpler. Lately, they encouraged seafarers to conduct online appointments to minimize the lines of walk in applicants. Releasing schedules are also much quicker and more organized than before. To make things better, some COP require no revalidation. You only have to take them once during your sailing career. More details coming up later on. Before going any further, you must also take note of MARINA’s Six-Month Rule and Justification Letters on some certificates. You can read that in the sections below. Though all mandatory courses require an issuance of COP, not all of them are subject for renewal. Here are the list of COPs requiring re-validation. I did not include the training for TANKER courses since it will be posted in a different article. This is simply the “familiarization course” or “SOLAS training” you famously heard of. It comprises four modules each having 16 training hours. BT Refresher is only 16 hours for the whole course. Certified True Copy (CTC) of Training Completion Records of Assessment (TCROA). SIRB Photocopy 1st Page or any government issued ID. Valid Medical Certificate in PEME Format. Take note of the “AND” and “OR”. If the applicant for revalidation does not meet the required seagoing service, he must complete an approved course in Basic Training within 6 months before application for revalidation of the COP. Certificate of Completion (BT Refresher Course). SIRB Photocopy 1st Page and entries. This course is for crew members of rescue boats. It gives training and education to seafarers who are required to take charge of a survival craft or rescue boat (other than fast rescue boat). It is 32 training hours long (4 days). PSCRB Refresher Course is only 8 hours long. Has approved seagoing service for at least (6) six months. If the applicant for revalidation does not meet the required seagoing service, he must complete an approved course inProficiency in Survival Crafts and Rescue Boats other than fast rescue boats within 6 months before application for revalidation of the COP. Training Certificate for Refresher Course on PSCRB. Sea Service Certificate from the Company or Manning Agency. Seafarers are trained in acquiring the skills for manning, handling and taking charge of a fast rescue boat. Focus skills include safety precautions, starting engines, launching, procedures for righting a capsized rescue boat, search patterns, recovery of casualty in the water and many more. Regular course is 28 training hours long (3.5 days). Refresher course is only 8 hours. Has approved seagoing service of not less than twelve (12) months. If the applicant for revalidation does not meet the required seagoing service, he must complete an approved course inProficiency in Fast Rescue Boats within 6 months before application for revalidation of the COP. 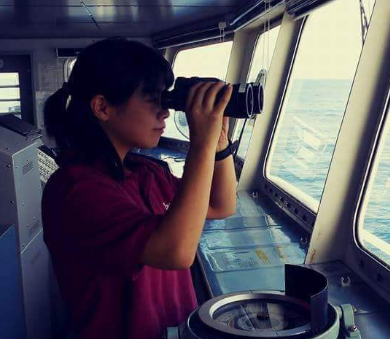 Seafarers are trained to conduct advanced firefighting techniques with particular emphasis on organization, tactics and command. The training will be as realistic as possible. Furthermore, scenarios include fire fighting involving dangerous goods, ventilation control, control of fuel and electrical systems, communication and coordination during fire-fighting operations, etc. The regular course is 36 training hours long or 4.5 days. ATFF Refresher is 12 only hours. If the applicant for revalidation does not meet the required seagoing service, he must complete an approved course inAdvanced Fire Fighting within 6 months before application for revalidation of the COP. Training Certificate for Refresher Course on AFF. SIRB Photocopy 1st Page and relevant entries. Please be guided accordingly. Here is a list of Certificate of Proficiency requiring no revalidation. The requirements are for issuance only. Certificate of Completion (RFPNW) OR TOR for BSMT OR Enhanced Support Level Program for Maritime Senior High School or ESLPME (for sea service not less than two months). Seaman on the bridge for Navigational watch and lookout duties. Certificate of Completion (RFP-EW) OR TOR for BSMarE OR Enhanced Support Level Program for Maritime Senior High School or ESLPME (for sea service not less than two months). SIRB Photocopy 1stPage and relevant entries. Aside from the regular requirements listed above, there are also extra documents needed for special purposes. Check the details below to find out if you need some of these. Aside from the requirements of each COP listed above, the applicant who wishes to expedite the release of his COP shall also bring the following. Crew list duly signed by the Master of the ship and validated by the Philippine Coast Guard. This rule is about the application of your COP which requires seagoing service. Moreover, it also covers revalidation wherein your training is valid for COP within six months. See the details below. For purposes of COPs requiring seagoing service, within 6 months AFTER disembarkation. Important: This is ONLY applicable to training certificates taken AFTER October 08, 2018. Training courses must be taken within 6 months before application for revalidation..
A few months ago, MARINA implemented a “Paperless” or online application system to speed up the processing. However, there have been reports lately from our fellow seafarers that the issuance and/ or renewal of our COP takes weeks or months to get a schedule. This is quite ironic. Before the online system, we can show up as a walk in applicant and wait for two to four hours to file our COPs. We are hoping that this issue will be fixed as soon as possible. Training and drill on board a ship can be fun. Going back, here are the steps for your COP application. Register in the Seafarer Certification System (SCS). Upload the required documents supporting the issuance or revalidation of the COP being applied for. Present the original documents in support of the COP being applied for verification. Pay the corresponding fee to the Cashier. Provide information for encoding and undergo photo capturing. Claim the COPs per scheduled release date stated in the claim stub.